Mite infestation or “Mite Flare” is caused by using older insecticides such as imidacloprid. It is a problem with both soil and tree injection. Mites are not insects and this insecticide is well known to cause an increase in mite fertility (fecundity). 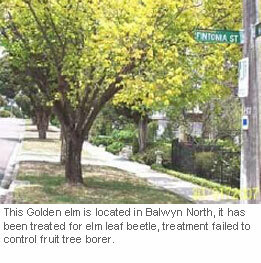 Trees need to be treated to avoid disfigurement and damage of the tree to the point of removal. Plane Tree Anthracnose is a fungal disease that affects Platanus species worldwide, it causes foliar and twig damage in early and mid season. The Monterey Pine Aphid, a native of North America, was first recorded in Australia in March 1998 on Pinus Radiata near Canberra; it is now present in all areas across Australia where pine trees are grown. The Sycamore lace bug is a native North American pest of Plane trees (also called Sycamore trees), introduced into NSW probably during 2006. This pest is a relative of other lace bugs, such as the azalea lace bug and the olive lace bug, which are familiar to many gardeners. Oak aphids are small yellow elliptical insects that congregate on the leaf underside, they are also found on soft stems and young tip growth. Cypress canker is a serious fungal disease that affects certain coniferous species. This pathogen interferes with the trees vascular system eventually causing stem, branch and eventual tree death, drought and overly wet humid conditions will also exacerbate the situation. Birch Leaf Spot is a foilar leaf disease that affects Birch, Aspen and Cottonwood trees and other members of the Betulaceae family. This small white sap sucking insect, known as the Ash Whitefly, is causing leaf damage in Golden and Claret Ash trees. A common leaf disorder affecting fruiting and ornamental mulberries, the inital symptoms of this disease are small dark spots in early Spring that gradually increase in size through the growing season. 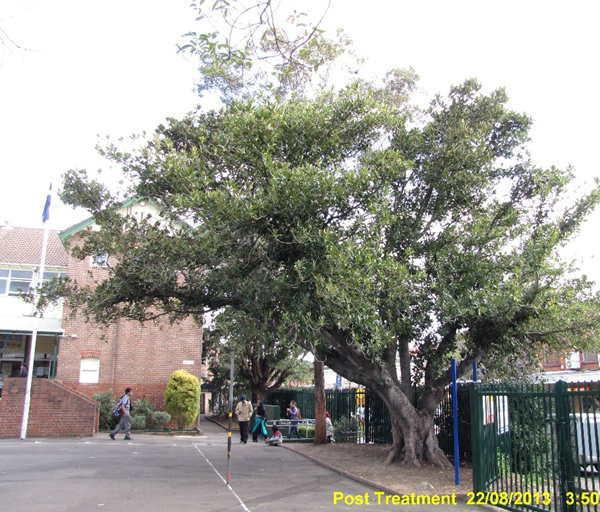 A serious pest is in regards to ornamental and native trees, with a preference for black wattles, it has quickly adapted to the softer and sweeter wood of exotics.